The FIRST step has arrived! The base unit for the Expedition trailer arrived today. Now I have only one year to fully outfit and test it for durability and performance. Day 2 after installing external gear, still LOTS more to do! 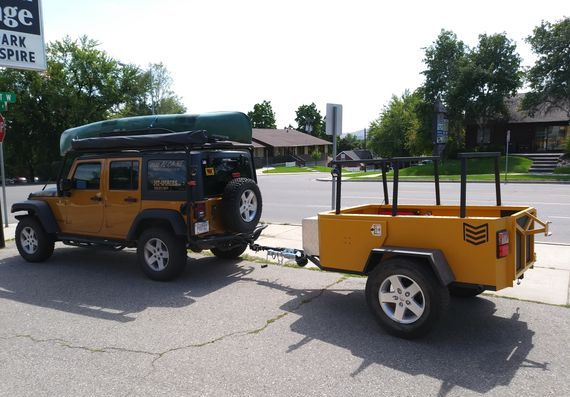 Rooftop tent, 270 degree batwing awning, tripod/chair box, bed liner, fuel cans, water storage, and some of the E-track installed. Long day!